EDINBURG — As his team was preparing to take the pitch for the third time in eight days, RGV FC coach Gerson Echeverry made a nearly unprecedented move. RGV’s lineup Saturday against Orange County SC featured nine players who weren’t in the starting 11 when the Toros faced LA Galaxy II three days prior. The switches were made to manage fatigue, Echeverry said, as RGV also had a match Aug. 18 and will close out a stretch of four matches in 11 days when it hosts San Antonio FC at 7 tonight. The new group proved highly effective. The Toros secured their first road win of the season, knocking off the second-place team in the Western Conference standings 2-0. All season long, the Toros have been derailed by an inability to put shots on target. Saturday’s win moved RGV to 4-9-12 on the year, good for a 15th-place standing in the Western Conference, and the Toros are tied for 27th in the USL with 24 goals on the year. But on Saturday, RGV showed no issues scoring and creating chances, putting eight of 14 shots on target. Matias Zaldivar and Carlos Small scored in the opening half for the Toros. Cabrera drew the foul that led to Small’s goal on a free kick during first-half stoppage time. The son of Houston Dynamo coach Wilmer Cabrera, David had trained with the Toros the past two summers and all of this season before seeing his first action against Orange County. Echeverry said David Cabrera impressed during the team’s 3-0 exhibition win against Club Santos Laguna on July 11 and had continued to stand out during recent training sessions. David said his first action was a good learning experience, though he regretted having to sub out after 58 minutes due to cramping. 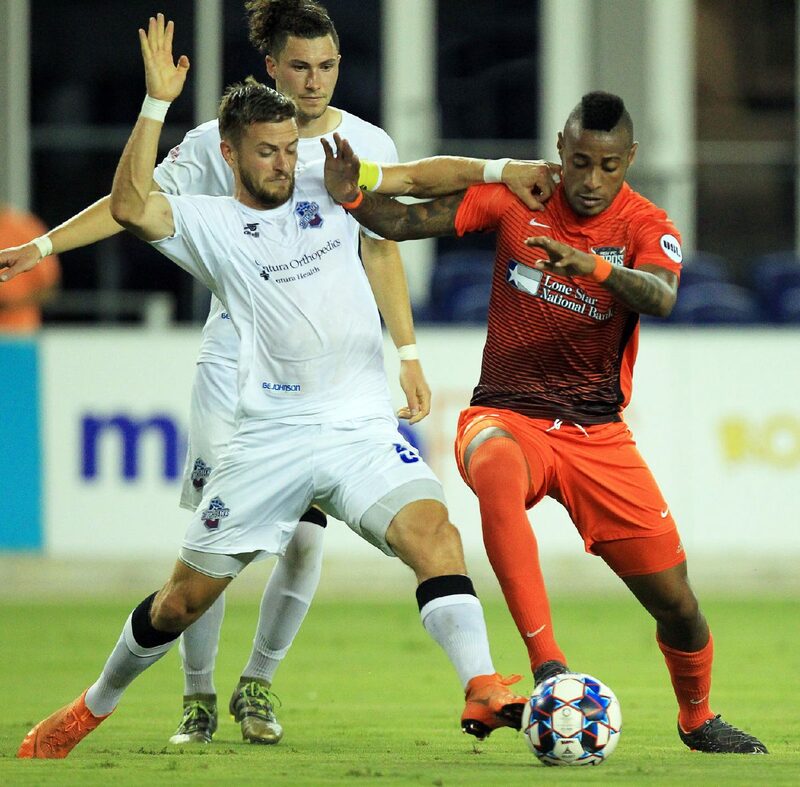 Echeverry said the fatigue up and down the roster gave him the extra incentive necessary to turn to David Cabrera in the lineup, and the move helped sparked the Toros’ best road result of the season. With just nine matches remaining, RGV would have to surpass seven teams and make up 13 points to enter the playoff picture in the Western Conference. RGV will be looking to keep that momentum going against a San Antonio club that has lost four straight matches to move to 9-9-7 on the season. The Toros’ process of evaluating who is fit enough to take the pitch tonight will likely run right up to game time. Former RGV standouts Kyle Murphy, Charlie Ward and Jose Escalante are all fixtures in San Antonio’s lineup.